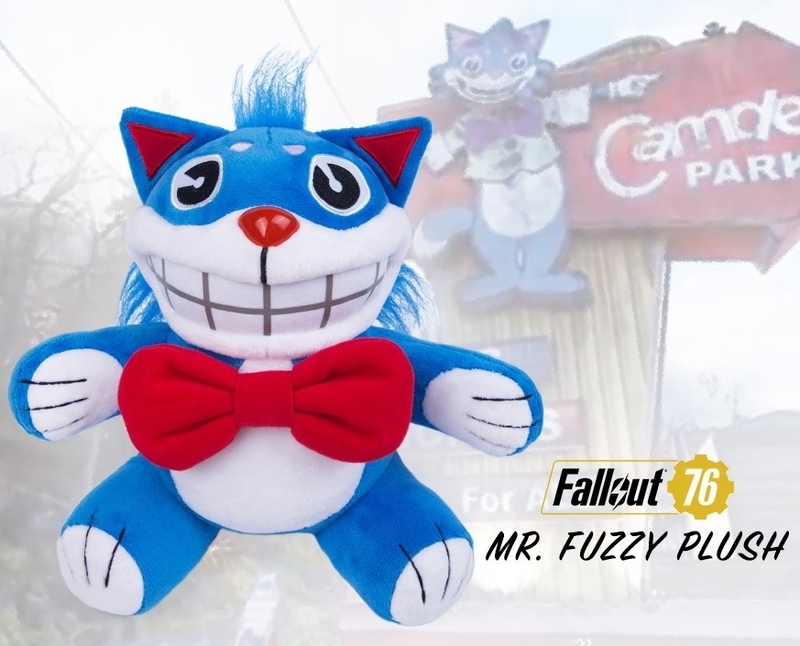 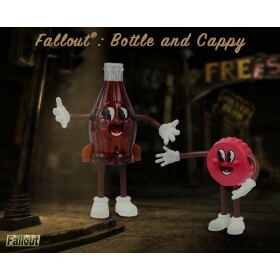 You will earn 1,300 Credits for purchasing this product. 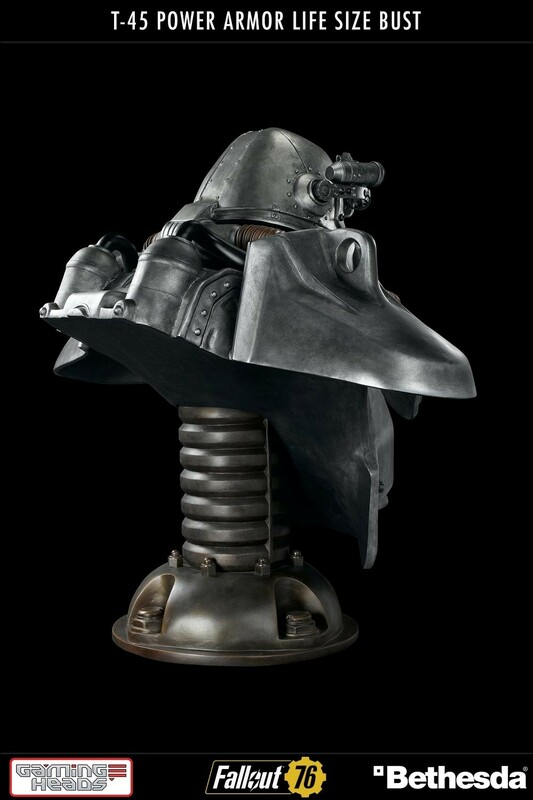 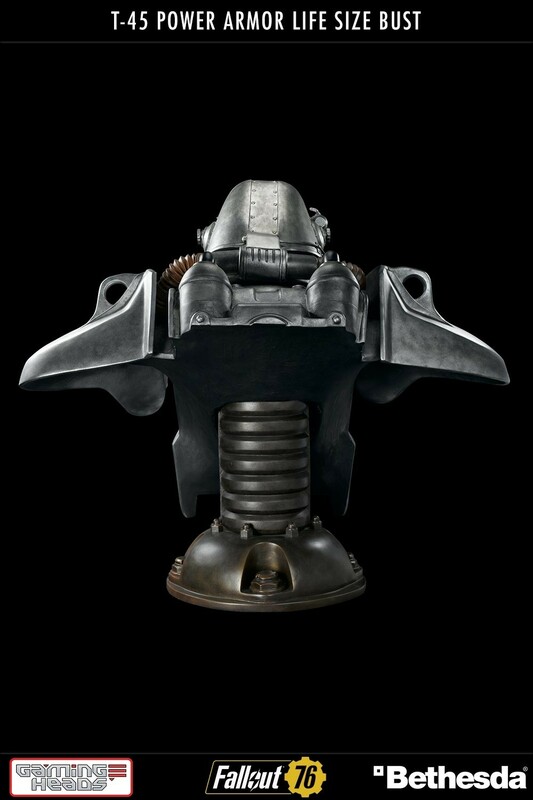 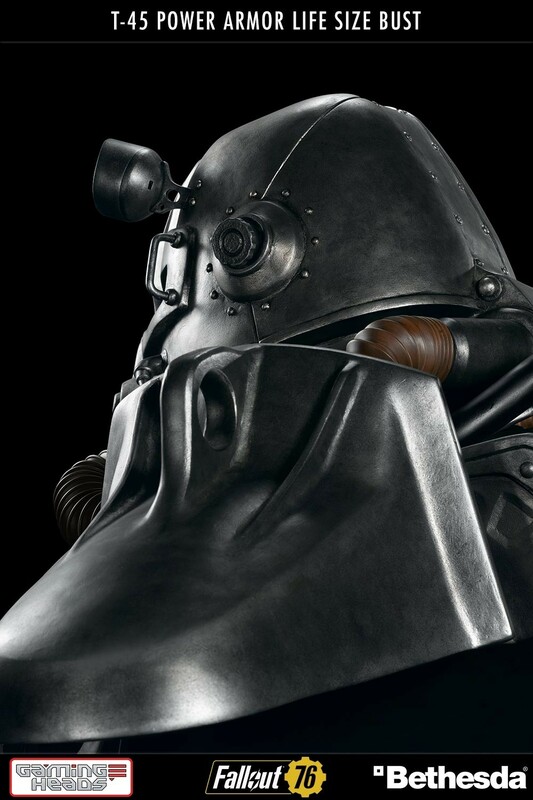 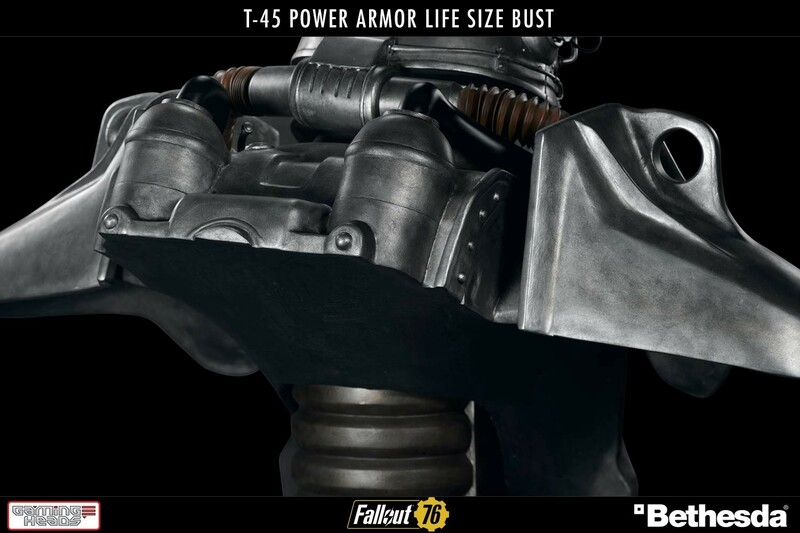 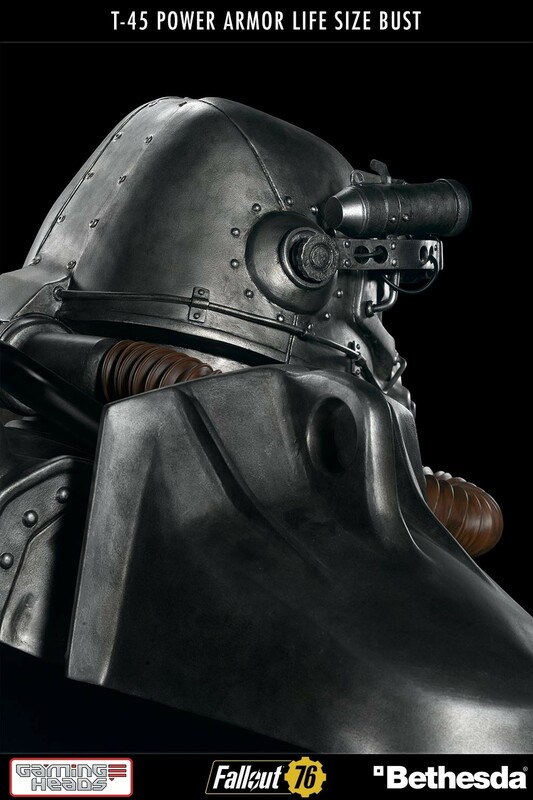 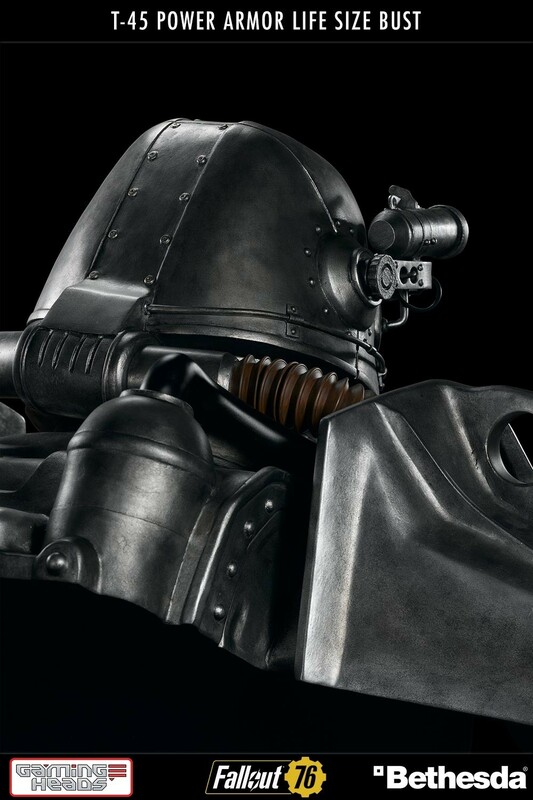 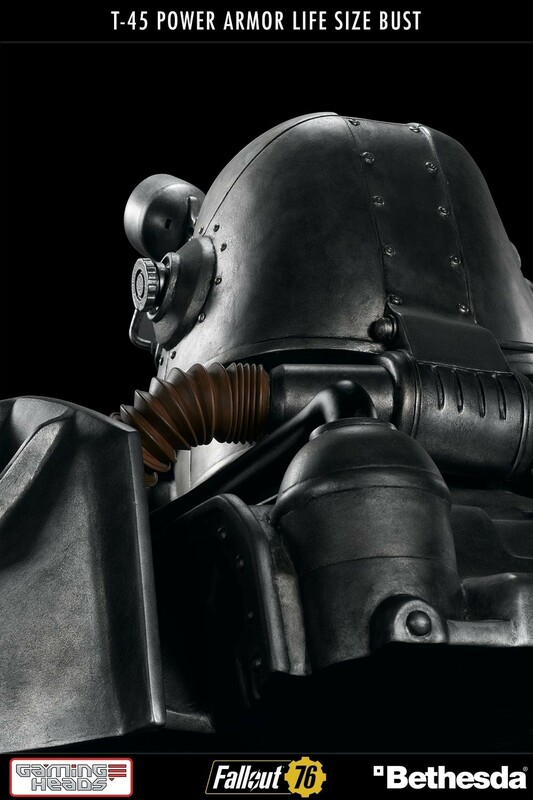 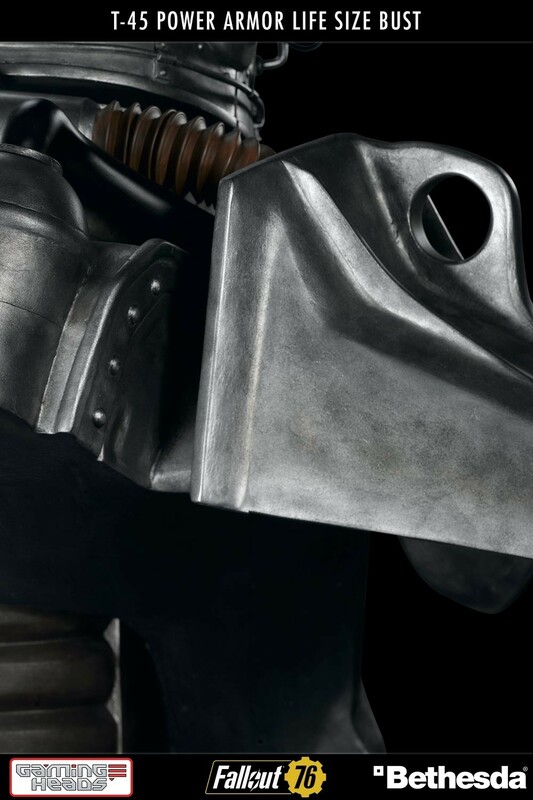 At nearly 35 inches across and 30 inches tall, this imposing 1:1 scale bust of the iconic T-45 Power Armor is being produced in a limited edition of 500. 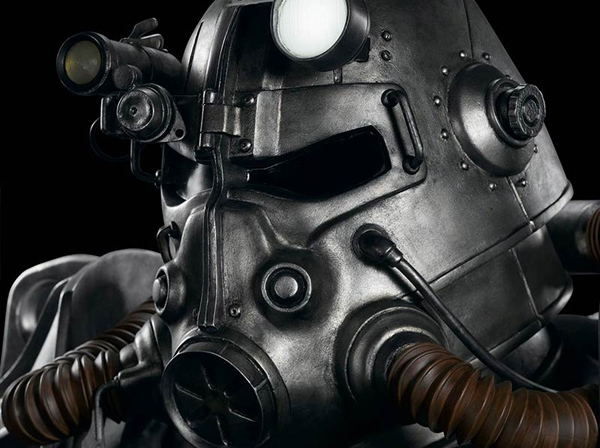 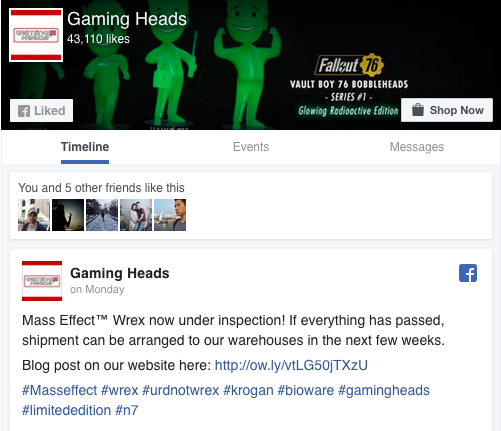 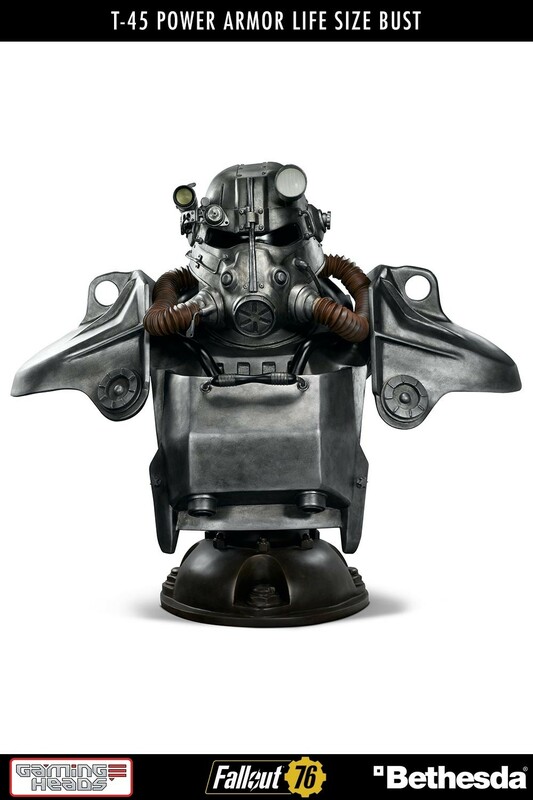 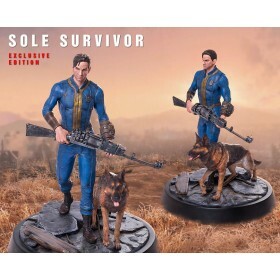 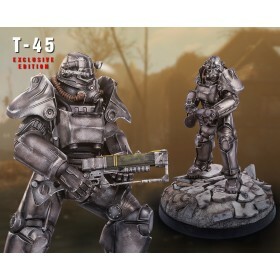 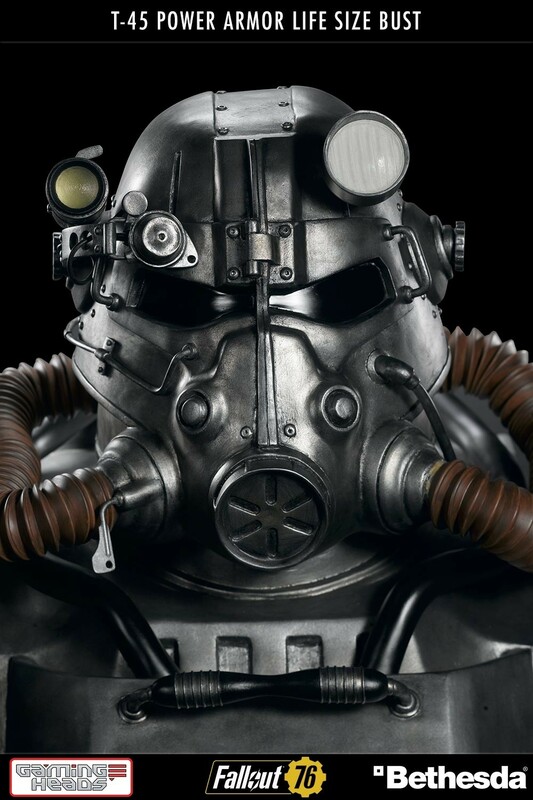 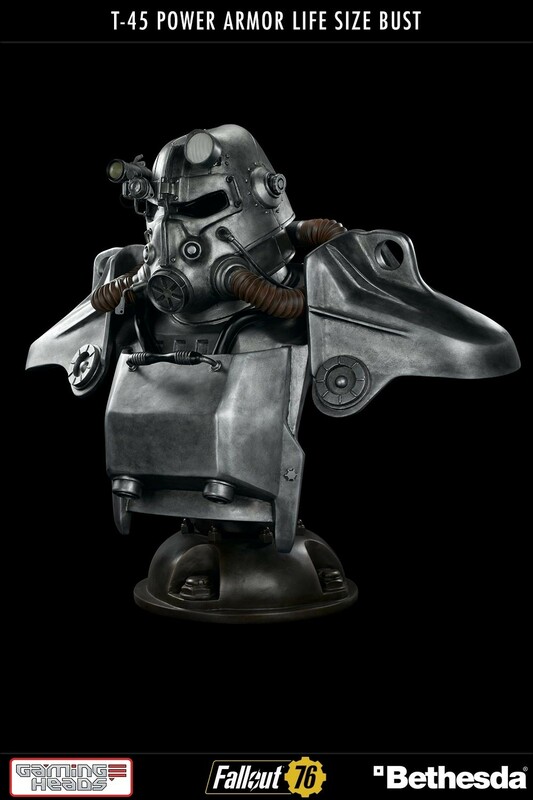 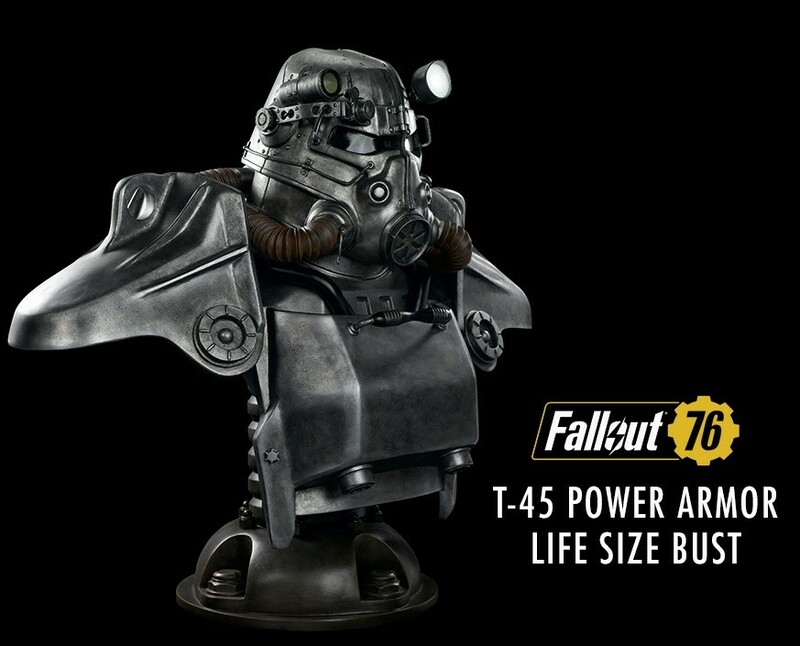 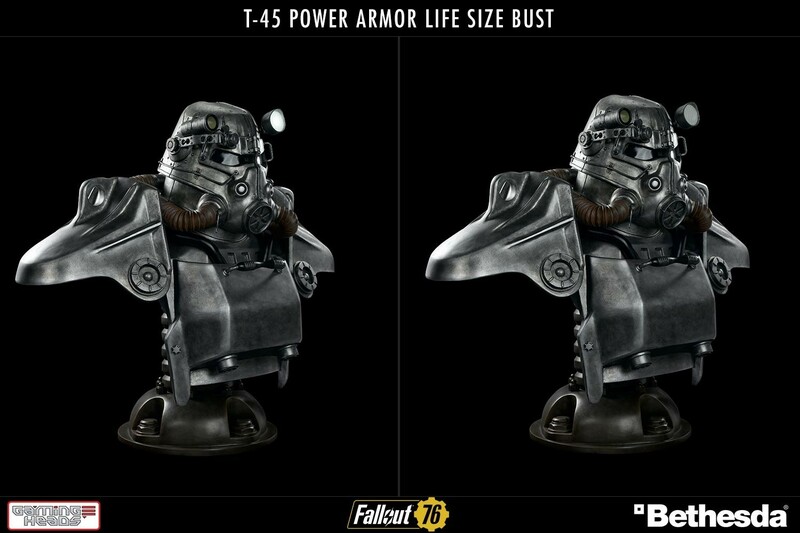 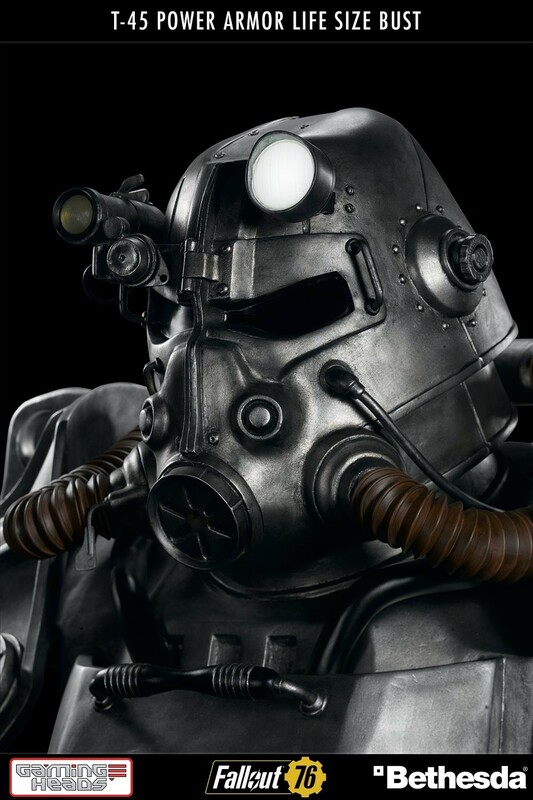 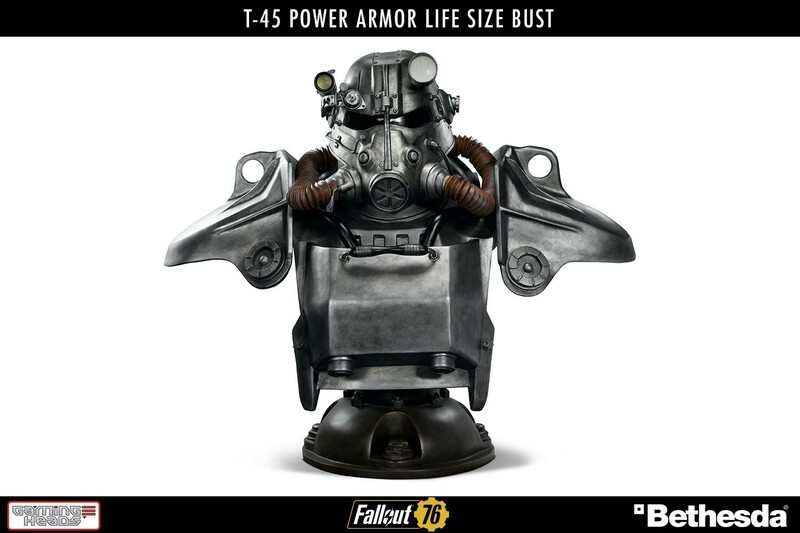 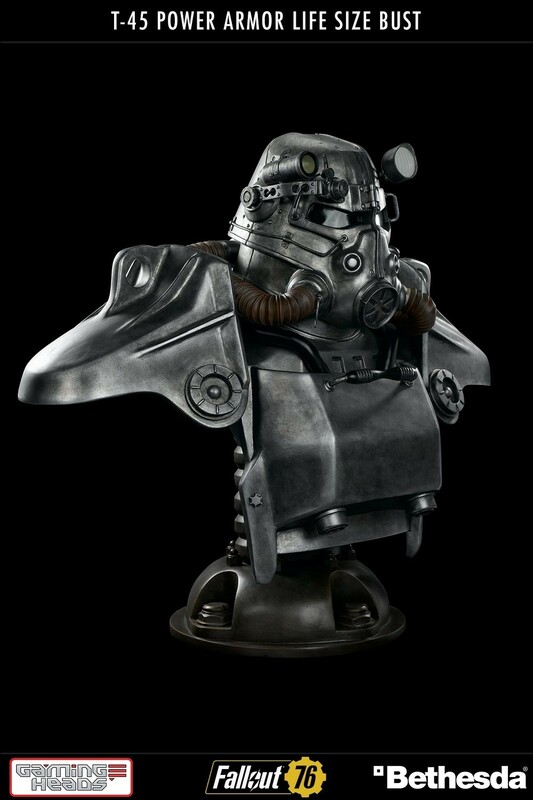 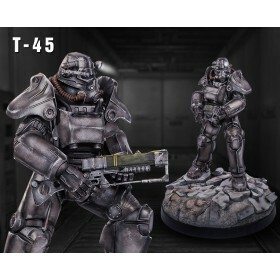 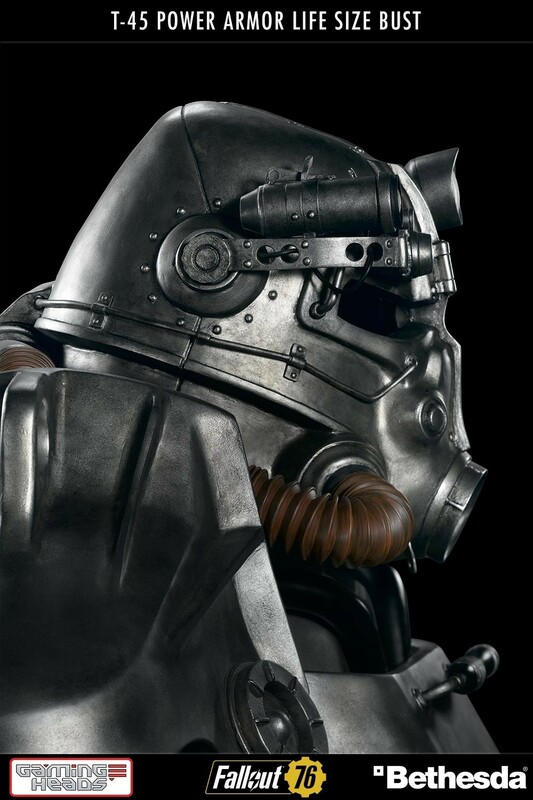 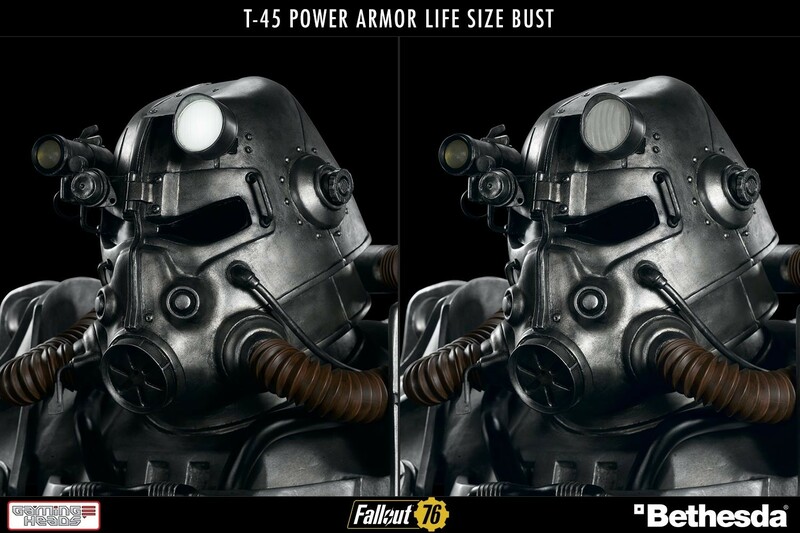 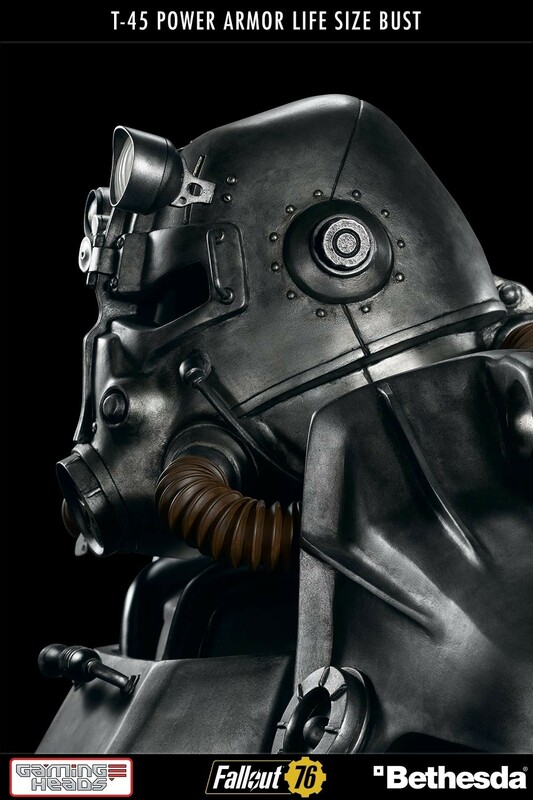 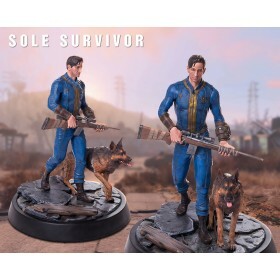 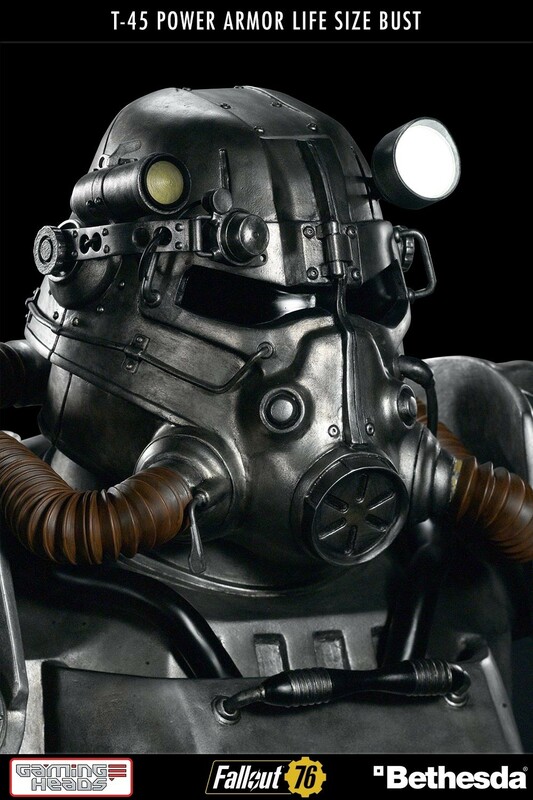 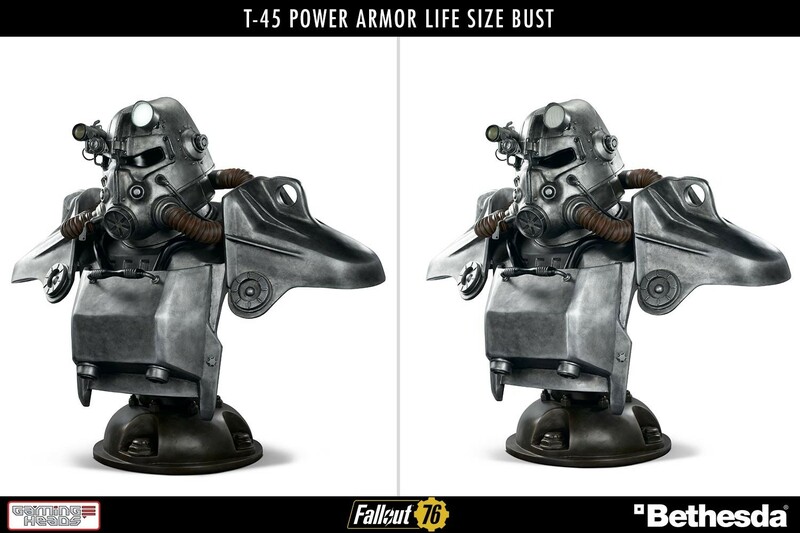 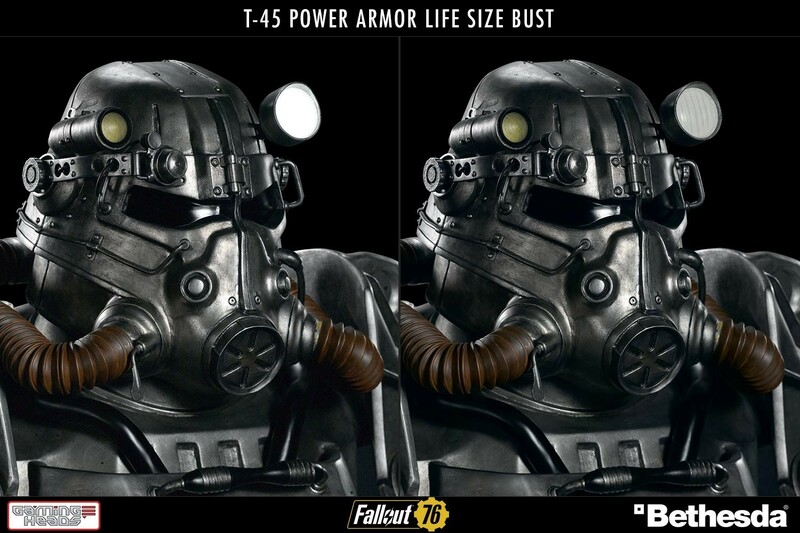 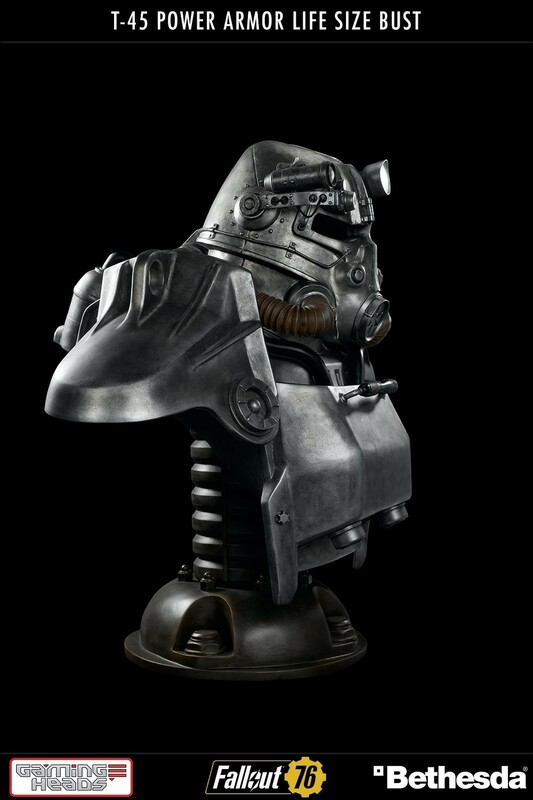 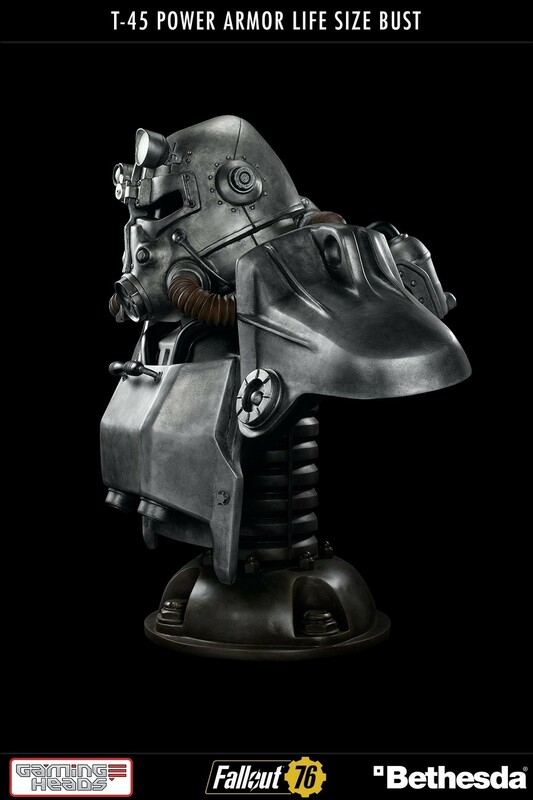 The Fallout®: T-45 Power Armor Life Size Bust is made completely out of polystone resin and hand-painted to capture every intricacy of the T-45 Power Armor helmet and bust in outstanding detail. 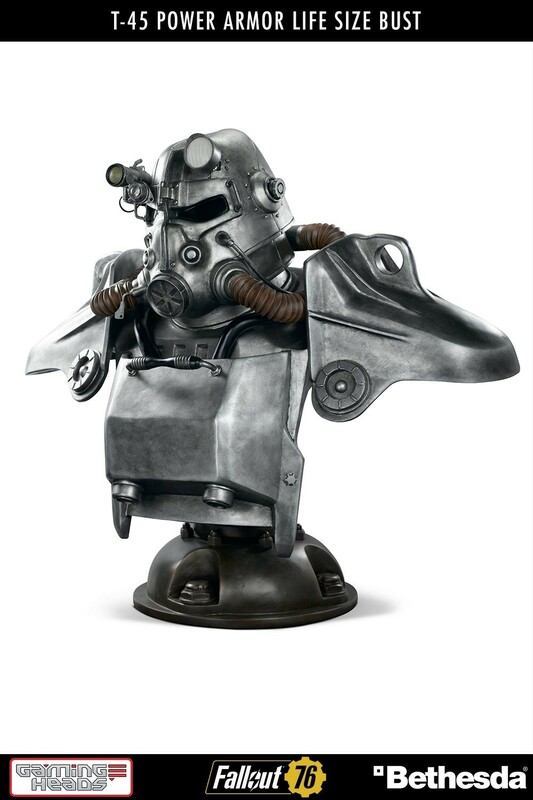 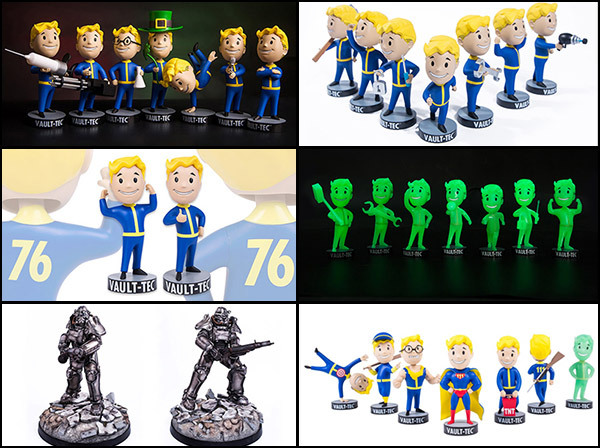 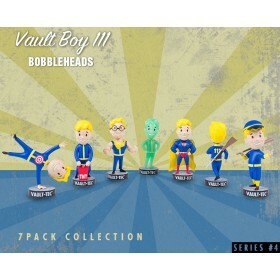 Each Fallout®: T-45 Power Armor Life Size Bust includes a deluxe full-colour box, individually hand-numbered base and a validation card that will allow you to register and authenticate your purchase. 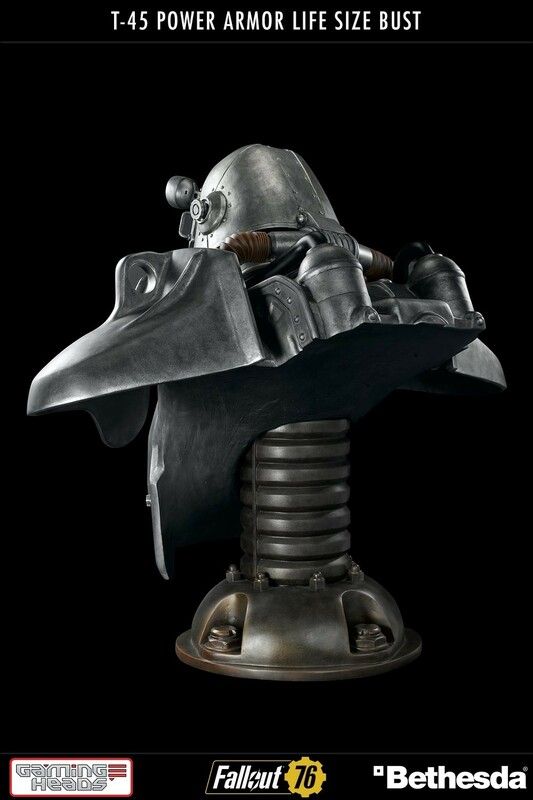 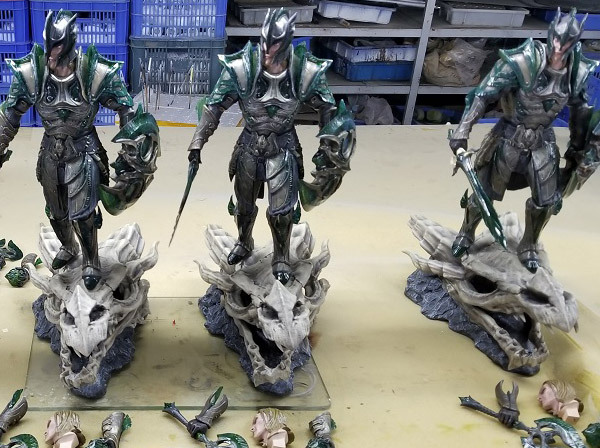 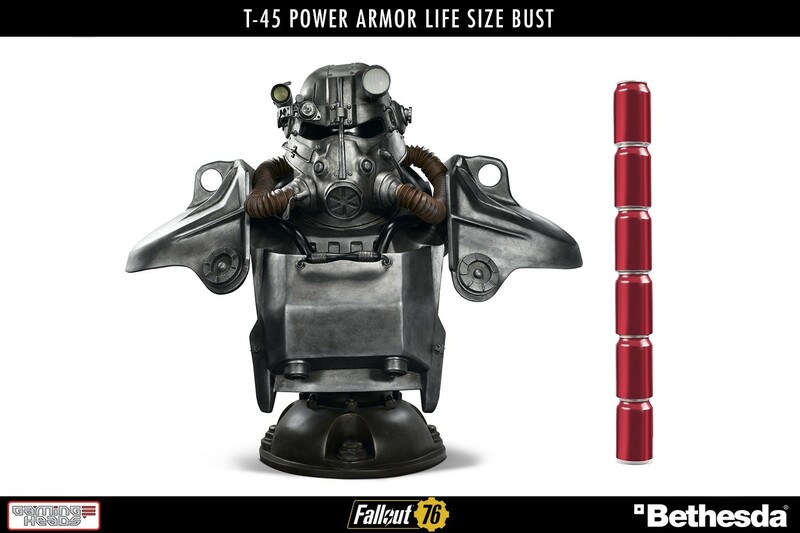 T-45 Life Size Bust now live for PRE-ORDER!